The SPSCC Foundation held the biennial President's Club event on Thursday, May 3, 2018. SPSCC president Tim Stokes along with SPSCC Foundation staff and donors welcomed 21 new members into the President's Club Lifetime Circle. Lifetime Circle members have cumulative giving of $25,000 or more to the SPSCC Foundation. 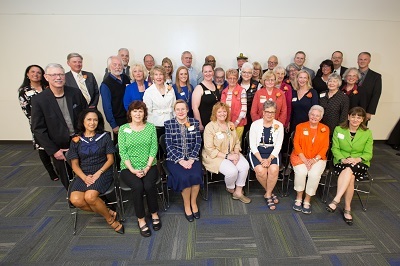 The SPSCC Foundation thanks the 21 inductees for their support of the college and dedication to creating access to education for all students.